Free club management webinars – why should you attend? Every year, over 15% of clubs in the U.S. face bankruptcy. A deeper look into the issue reveals that a complacency with the status quo and not being able to pivot with the times and trends is a major factor in the decline.  Not wanting to see the industry die out, Up to Par Management is sharing what they’ve learned with others to try to turn the trend, (or as we say around the office, how we do things The Up to Par Way). This webinar looks at two case studies, discusses red flags, and explains immediate changes needed to stop the financial bleed. Attendees had their questions answered and learned about the importance of having a sound operating plan backed by data. The dining room is the heart of the club – and you need to make it profitable with member usage and banquets and events. We’ll visit the front of the house operations, menu design, inventory and cost control, and managing labor and workflows. Every associate is part of your sales department. Every associate is part of your marketing department. This webinar looks at two successful case studies, building demographic studies, 30-60-90 days marketing plans, and driving last-minute revenue. Focused on our culture of integrity, this webinar touches upon the awesome responsibility of how we manage our client’s funds. Our team discusses everything from budgets and purchase orders to the daily cash, financial dashboards and reports to the boards. This webinar discusses how we manage our most important resource – our people. How do you ensure everyone is headed in the same direction? Is there such thing as a millennial issue? Assumptions: why it is important to have checklists instead. The Up to Par Way is also discussed in a white paper highlighting The 5 Aspects to Making Your Club Profitable. You can request a download by clicking here. If these club management webinars have been useful to your club and you are interested in scheduling a free 30-minute consultation, please contact us here.